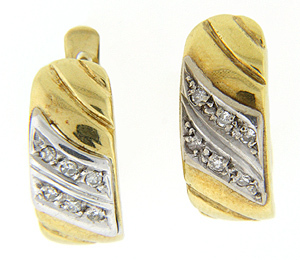 Double rows of three diamonds set in a splash of white gold ornament these 18K yellow gold estate earrings. 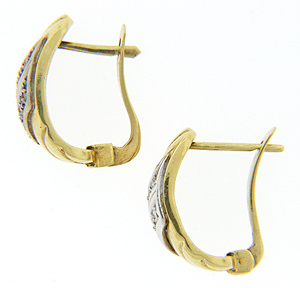 The earrings have lever backs and measure 3/4" by 1/4". Circa: 1980.